Link Racks Together to Create Larger Racks as Needed. 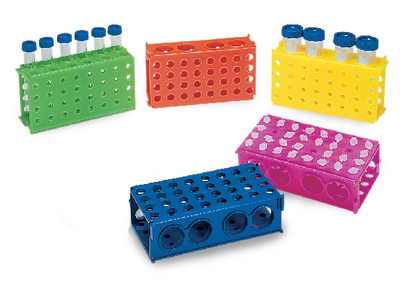 Each rack has four sides that hold either (4) 50 mL conical tubes, (12) 15 mL conical tubes, (32) 1.5 mL microtubes, or (32) 0.5 mL microtubes. Autoclavable racks come in assorted colors.